Hi! In case you haven't heard, our Malcolm Character is now available for Maya! Come download Malcolm and take him for a spin! Modelers and riggers! Download Malcolm and see what makes him tick. We've been receiving very positive feedback on our characters so far! You can also take a look at these How-To videos, to help you get started using AnimSchool's coolest character. Where is the rig located? Cant seem to find the link here. Hello Miguel! 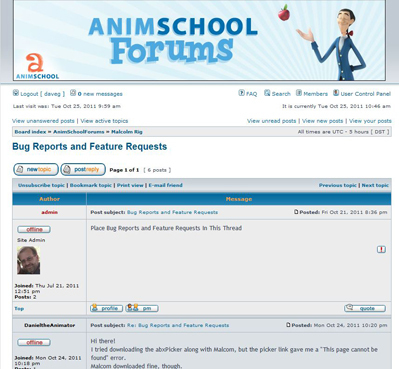 Just go to animschool.com and scroll down the page until you see the image above.